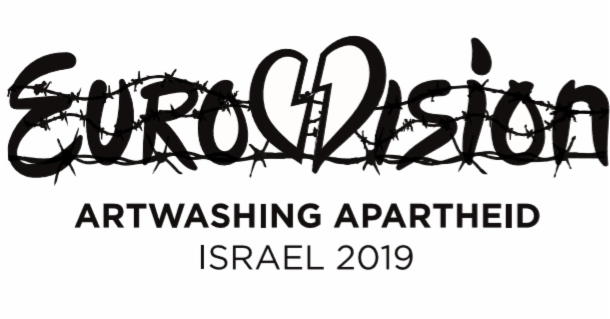 Giving Israel the privilege of hosting the 2019 Eurovision amounts to rewarding it for and helping it to conceal its decades-old military occupation and grave violations of Palestinian national and human rights. At the very least, the European Broadcasting Union (EBU) must ensure that Israel’s illegal settlements throughout the occupied Palestinian territory are strictly excluded from any broadcast of the Eurovision activities. The UN Security Council has repeatedly affirmed that Israel’s settlement enterprise constitutes a “flagrant violation” of international law and has “no legal validity,” and has rejected Israel’s annexation of Jerusalem as “illegal” and “as null and void.” The European Union also has a long-standing policy that strongly opposes the illegal settlements. Therefore, the PLO, the sole legitimate representative of the Palestinian people, demands that the EBU oblige all of its members and associate members, especially Israel’s public broadcaster Kan, to not broadcast any Eurovision Song Contest events in Israel's illegal settlements, including those in occupied East Jerusalem. This is the minimum that the EBU must do to be in compliance with the obligations of non-state actors, including businesses and organizations, under international law and European policy, particularly given the unprecedented escalation of Israel’s unlawful unilateralism and criminal behavior. The recently adopted ‘Jewish Nation-State’ law, for instance, has given Israel license to apartheid, discrimination and ethnic cleansing at the expense of the Palestinian people. Such racist and prejudicial legislation is illegal by all standards of international law, democracy, humanity, justice, tolerance, and inclusion. The extremist government coalition in Israel has once again exposed its true character by demonstrating that it is bent on sustaining an official policy of ethnic purity and supremacy, thereby regulating the indigenous Palestinian citizens to an inferior-class status. Such legislation also affirms Israel’s willful intent, with blind support from the current US administration, to omit the Palestinian narrative, presence and continuity on the land, while actively eradicating the history, culture and identity of the Palestinian people. Despite all Israeli efforts at erasing our rights and our identity, the Palestinian people's determination to remain on our land and our commitment to the global principles of justice, freedom and self-determination are a remarkable tribute to Palestinian resilience and humanity. The EBU has an obligation to ensure that it does not provide a platform for the legitimization and/or normalization of the illegal system of colonization in Palestine. The EBU must also understand that it is legally accountable to the act of profiteering from this illegal system of colonization, directly or indirectly. I conclude by reiterating my call to the EBU to respect the Palestinian people’s rights, as recognized by the multilateral legal and political system, and to comply with its moral and legal obligations not to support, directly or indirectly, any violations of international law.